While most people who marry do so prior to or in the absence of a first conception, increasingly marriage is not the first step in the family building process. Still, for many women in diverse country contexts, marriage continues to be very closely linked to initiating childbearing. Holland, J. A. 2015. “The meaning of marriage vis-à-vis childbearing in the United States and Europe.” ESRC Centre for Population Change Working Paper no. 72. Dutch Demography Day, Utrecht, Netherlands (2013). 2nd Generations and Gender Survey (GGS) User Group Conference, Milan, Italy (2013). 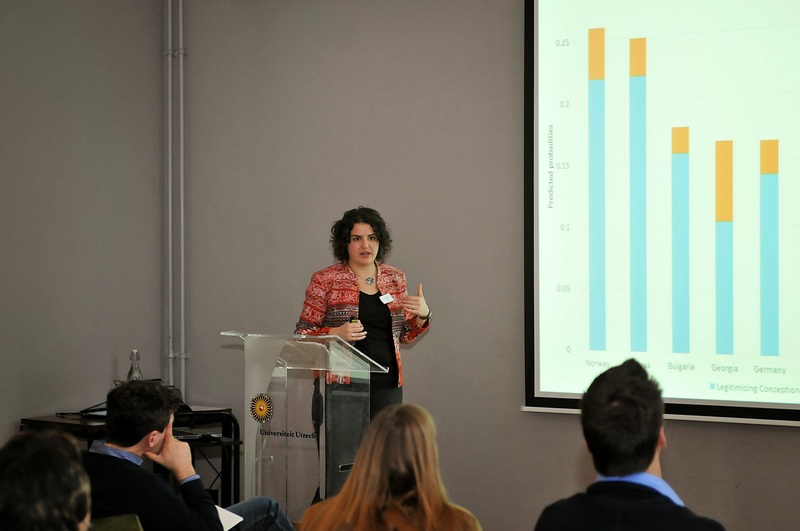 Presentation at the 2013 Dutch Demography Day, Utrecht, the Netherlands.